​Throughout the year we run a series of workshops for both children and adults, or you can book your own private chocolate making experience! The children's workshops are normally timed to fit in with local school holidays. ​If you would like to be the first to know about upcoming events, please sign up to our newsletter. Children will love our school holiday chocolate making workshops. Each workshop is run with a seasonal twist from chocolate truffle-pillars for the spring term, eggs and baby animals for Easter, fairgrounds and the beach for summer every single school holiday workshop is fun, unique and packed with chocolate treats. We offer these workshops to children of all ages although each workshop is geared towards a particular age group. Younger and older siblings are welcome but they must book a place if they wish to take part in the workshop. If children are too young to actively take part in the workshop there isn't really adequate space in our workshop to enable them to run around safely for which we are sorry. All of our guests will work on a themed chocolate project for the workshop trying out a variety of techniques tailored to their age and abilities and guided by our experienced team of chocolatiers. Most dietary requirements can be catered for. If you have any questions please contact our team and we'll be happy to help. Keep in touch and be the first to know about future events by signing up to our newsletter. 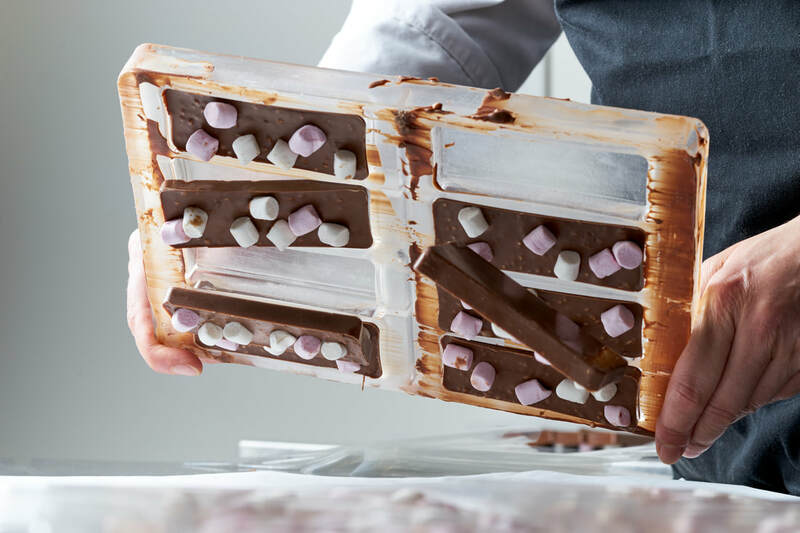 Learn a new skill & join us for a chocolate-filled evening of fun! We run a variety of different chocolate making workshops throughout the year.